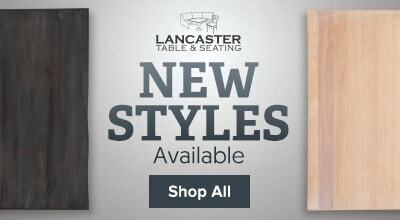 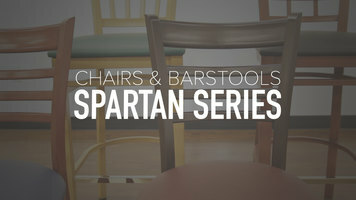 Update the seating in your diner with the Lancaster Table & Seating Spartan series metal window back chair. 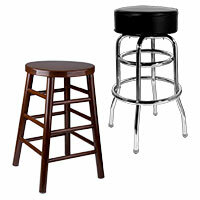 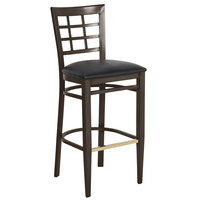 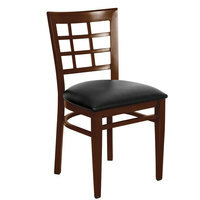 Whether you’re opening up your first restaurant or are looking for new seating options in your bar, we’ve got you covered. 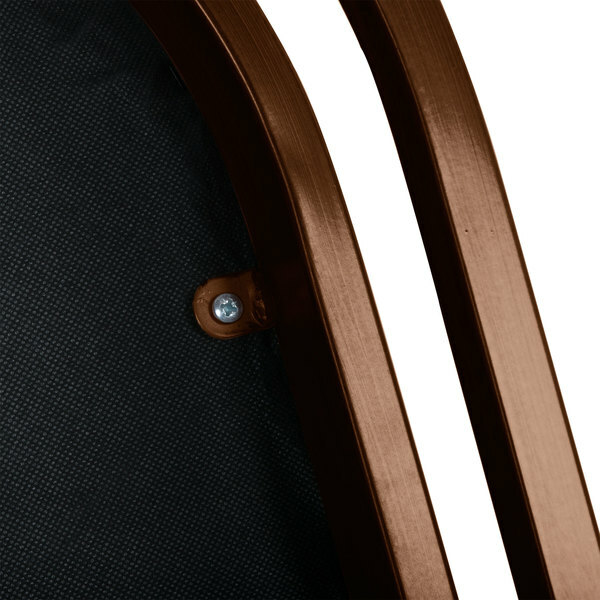 The Lancaster Table & Seating Spartan series metal window back chair is crafted from strong materials that are designed to stand up to general wear and tear in your commercial environment. 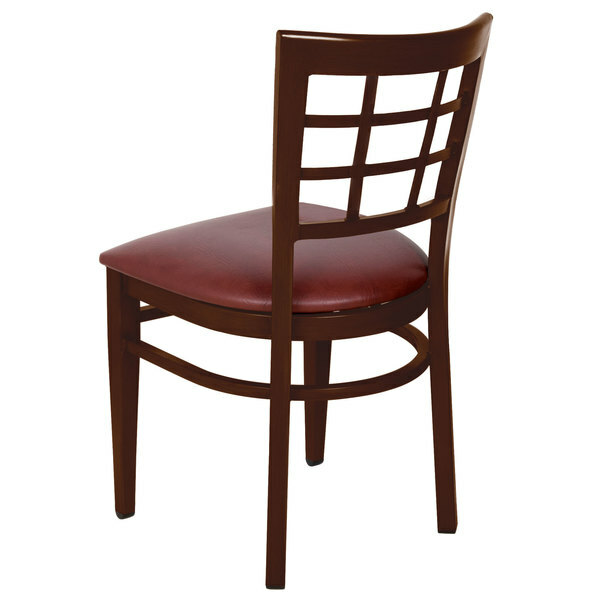 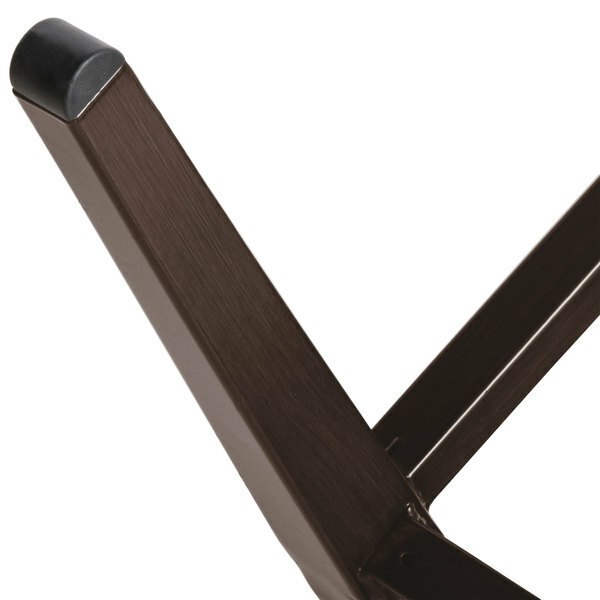 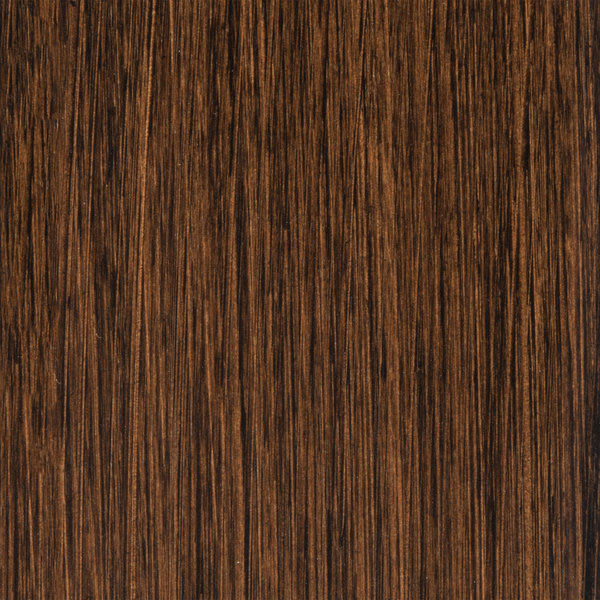 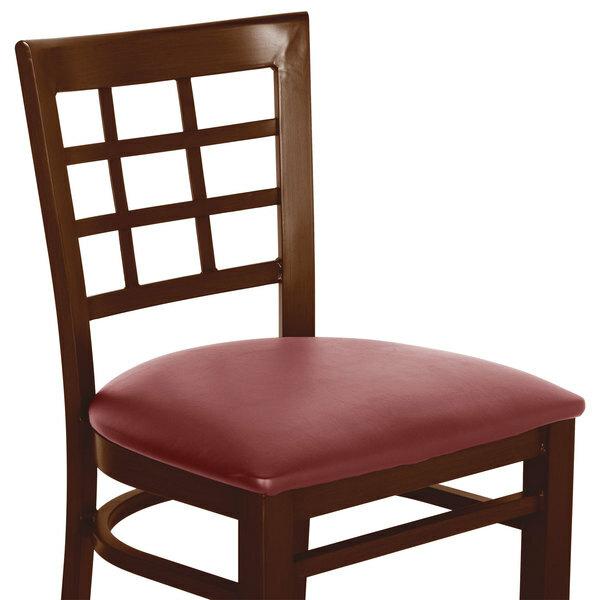 Additionally, the neutral walnut wood grain finish and burgundy vinyl seat are sure to match the color scheme and decor in your pizza shop, cafeteria, or bistro.